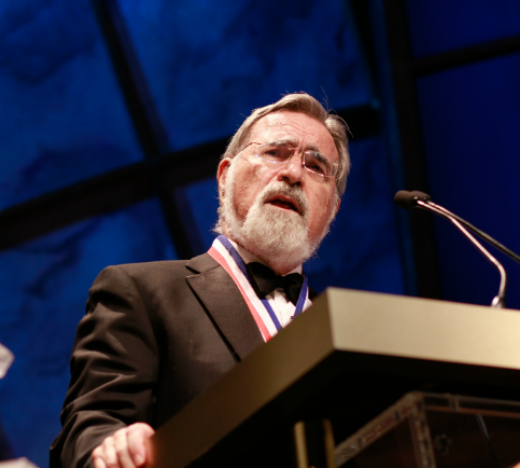 On June, 15 2016, at a ceremony in Washington, D.C., Rabbi Lord Jonathan Sacks, Kressel and Ephrat Family University Professor of Jewish Thought at Yeshiva University, was awarded one of The Bradley Prizes by The Bradley Foundation. Together with Rabbi Sacks, the other 2016 recipients were: social scientist and author Charles Murray; historian and author Andrew Roberts; and humanitarian and actor Gary Sinise. The Bradley Prizes formally recognize individuals of extraordinary talent and dedication who have made contributions of excellence in areas consistent with The Lynde and Harry Bradley Foundation’s mission. Up to four Prizes of $250,000 each are awarded annually to innovative thinkers and practitioners whose achievements strengthen the legacy of the Bradley brothers and the ideas to which they were committed. This year’s ceremony was hosted by George Will, one of America’s leading political commentators, and the prize itself was presented by Michael Grebe, president of The Bradley Foundation. Read Rabbi Sacks’ acceptance remarks.